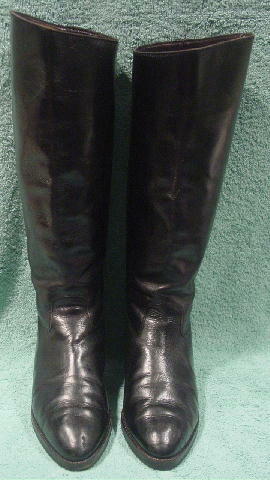 These black leather boots are by Joan & David. They have manmade nonskid soles. 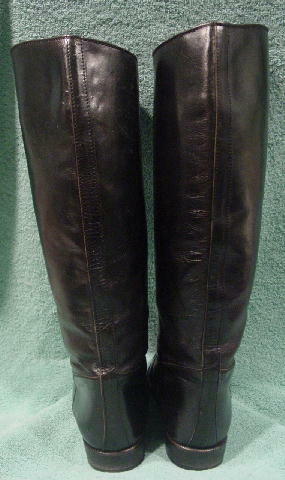 The boots have wrinkles and scuff marks. The right boot toe area has a scrape mark. 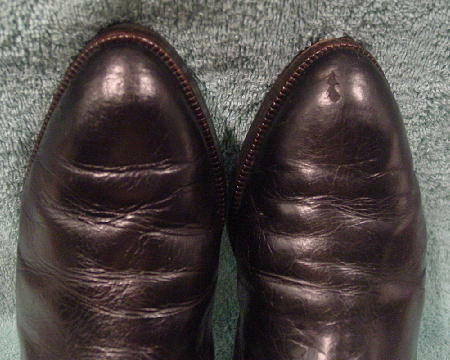 The right boot also has three large scratch line marks and several smaller lighter ones. 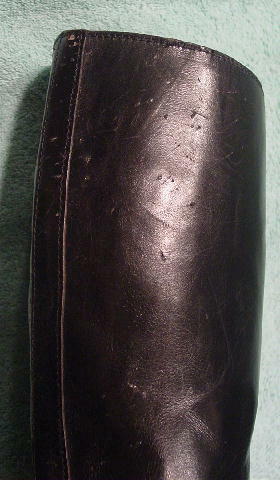 The left boot has lots of scratch marks - lighter line scratch marks and deeper claw marks. 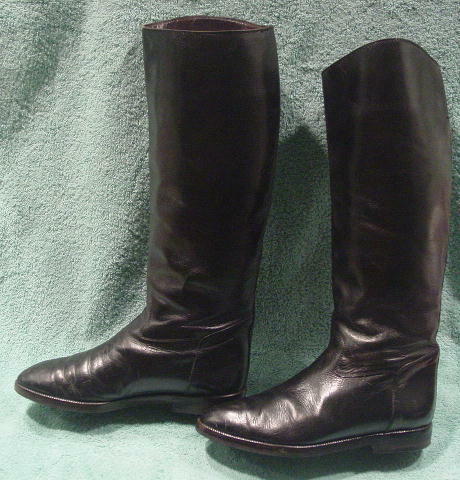 The outer top center of the boots is 1" higher than the inner center. The interior black leather lining is 3" deep on the outer side and 2 3/4" deep on the inner side. The rest of the lining is in soft bone color leather. They're from a former Hollywood actress. She had a cat that made the scratch and claw marks. bottom of heel to top inner side of boot 15 3/4"